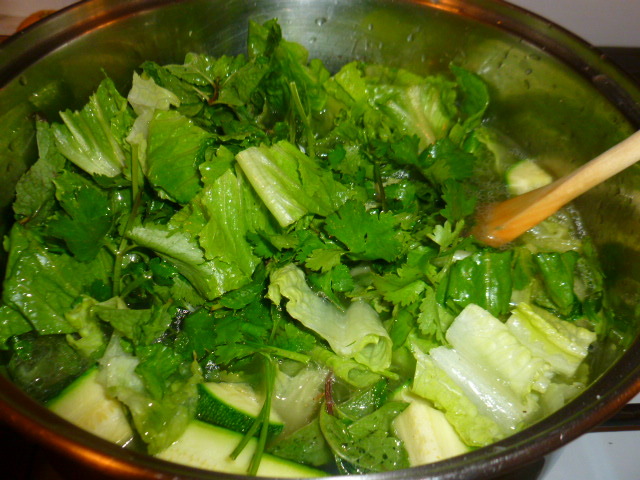 Cooked lettuce leaves may not be so common in many cuisines, but in the classic French cuisine, lettuce is added to soups and pea dishes, or is baked with cheeses. The result is delicious. Following this tradition, I’ve decided to add lettuce to this soup and the result is just as delicious. I’m sure you’ll agree, once you try it. 1. Place the oil and onion, salt, black and white pepper in a large pot and sauté on medium-high heat until translucent. 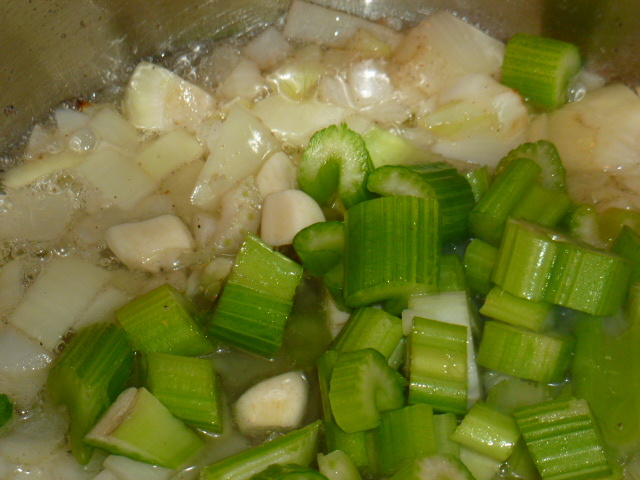 Add the celery and garlic, mix and sautée for 1-2 minutes. 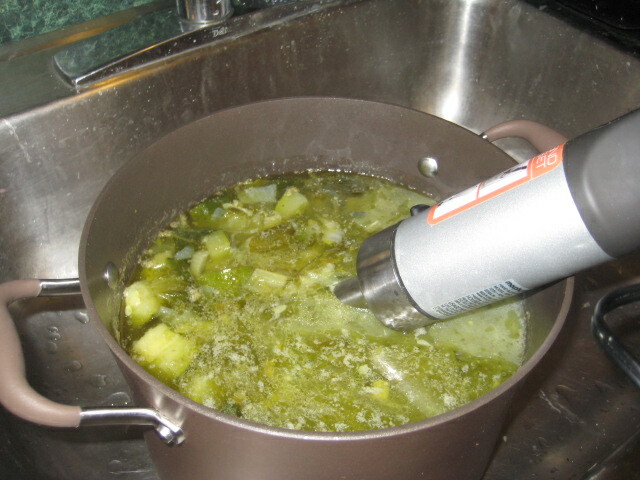 Add the zucchini, mix and sautée, mixing occasionally, for 2-3 minutes. 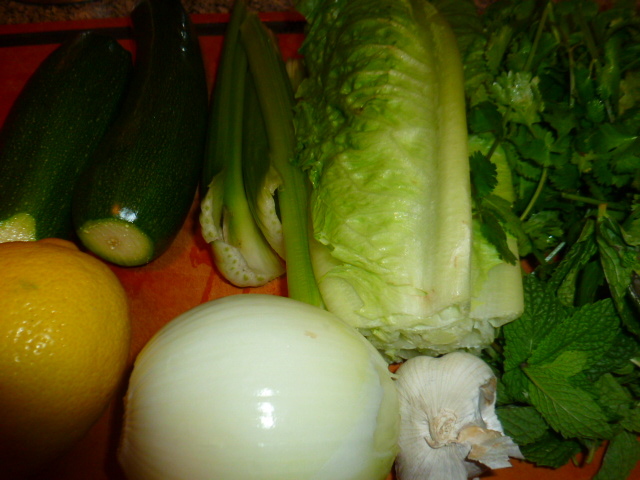 Add the scallions, herbs, lettuce and water. Mix and bring to the boil. 2. Lower the heat to medium and cook for 15-20 minutes, until the zucchini and herbs are soft and tender. 3. 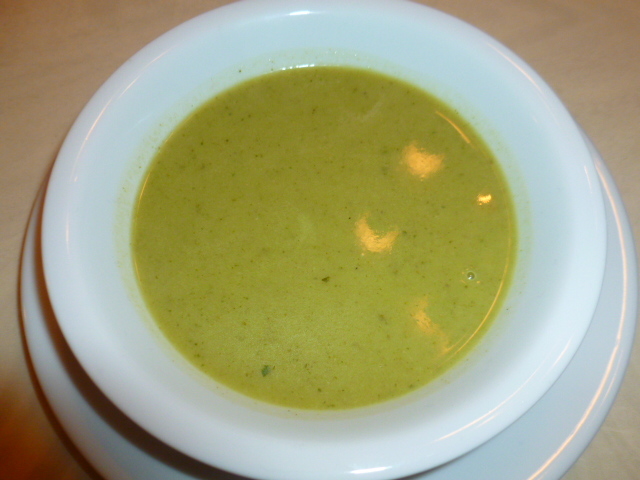 Turn off the heat and blend in a blender, or with a hand blender, to a smooth and creamy soup. 4. 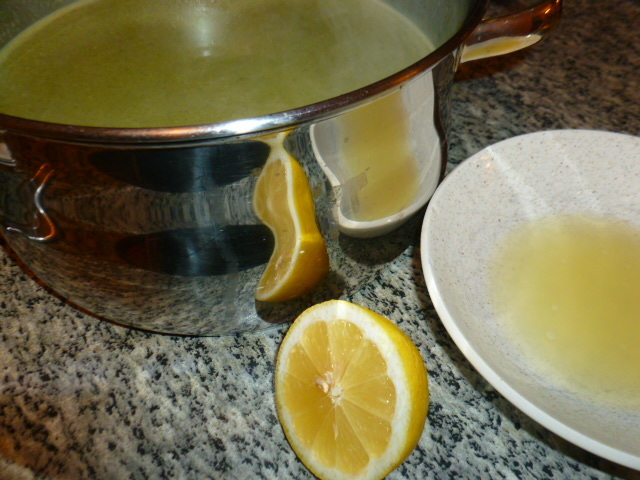 Let cool a bit and add the fresh lemon juice. Mix well, taste and adjust seasoning if needed. Serve warm or cold. Very nutritious soup. I would love this absolutely! This is very interesting. I never thought about adding lettuce to soup. Going to try this out. Thanks! 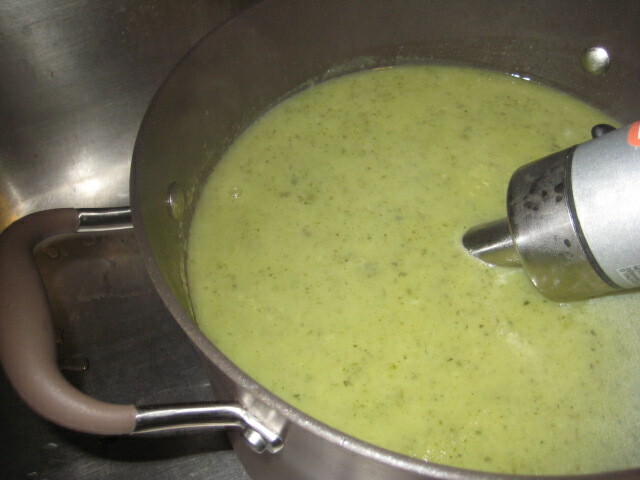 What a wonderful soup, I love adding lettuce to cooked dishes, my favorite is the classic french method of making peas with lettuce. 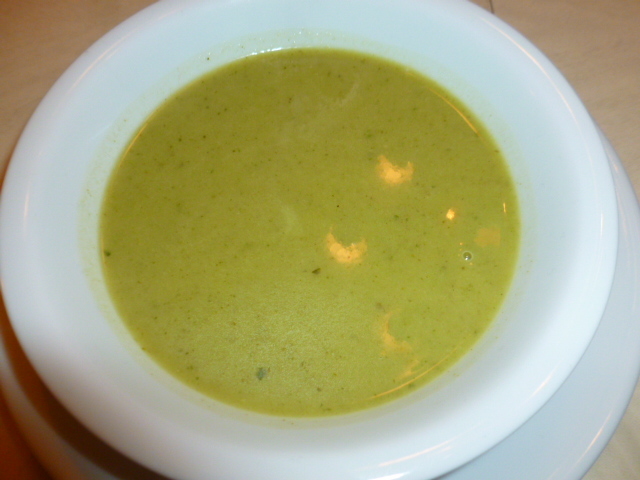 Delicious, your soup is creamy and perfect for the season. Another great, and new to me, idea! The final product is such a beautiful color. Looks to be a delicious starter for a variety of meals…as well as a perfect lunch too. <3 this one, Ronit! The texture the lettuce gives is wonderfully silky yet very light. It’s really worth trying. Cooked lettuce is indeed not so common, but it’s really worth trying. I hope you’ll enjoy the results and will be happy to hear your comments. 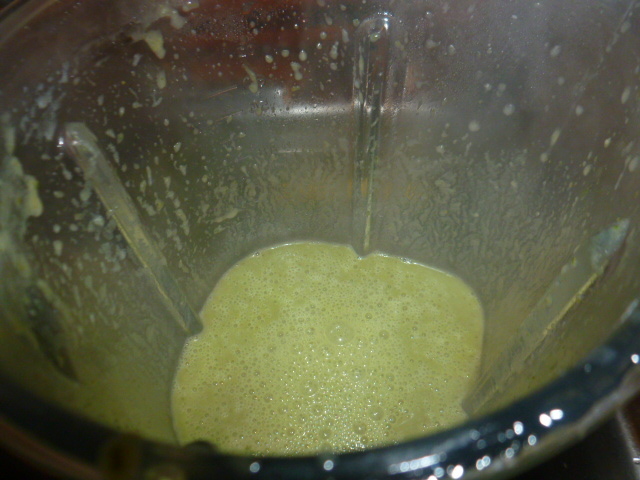 If one can get past the idea of a soup looking like baby food, blended soups are the best!! All the wonderful flavors come together to make each bite a perfect harmony of flavors!! This looks great! Every time I make my butternut squash soup for someone for the first time, they always complain that it looks like baby food! I’ve tried it lumpy and it’s just not as good!